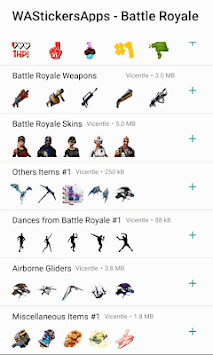 Download the best stickers of Fortnite dances or Fortnite Skins. 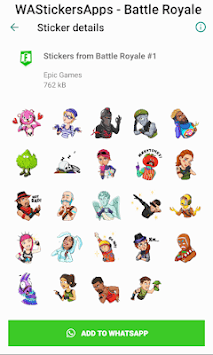 This WAStickerApps is the best WhatsApp sticker pack app for Fortnite stickers. 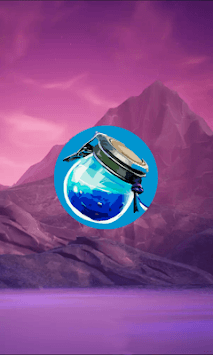 🔥 More than +1000 Stickers Battle Royale in HD (items, logos, drop stickers). Discover it! Download this stickers app for WhatsApp (WAStickerApps) and have lots of fun. We keep on adding new stickers and packs and updating regularly!